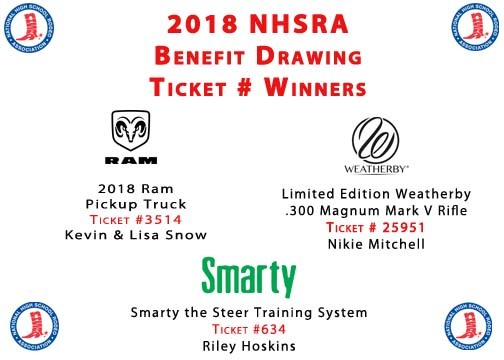 The 2018 RAM/Weatherby benefit drawing was held on July 21st in Rock Springs, Wyoming. Ticket winners are posted below. To purchase the new 2019 Benefit drawing tickets or for more information, contact the National Office.